The Family Review Network recently gave me the distinct honor of trying out this Refresh'n Dryer Towel. What is a Refresh'n Dryer Towel? Let me tell ya! Have you ever worn a pair of jeans, stretched them out, and then tried to wear them again before throwing them through the laundry? If you're anything like me, you find it frustrating to put on a pair of jeans 2 days in a row because they fit too loose. I've tried throwing them in the dryer...I even sprayed them down with water before throwing them in the dryer...and still, they're too loose yet not dirty. 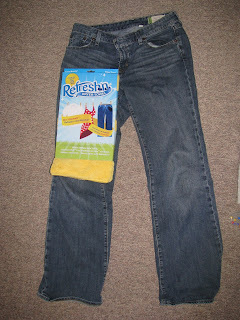 The Refresh'n Dryer towel is SO easy to use. You just soak it in water, wring out the excess, and place it on top of the clothes you're trying to freshen up in the dryer. Run the dryer for 10-15 minutes, and voila! I tried it this morning with my favorite pair of jeans. I wore them last night to school so they were a little stretched out. After 15 minutes with the Refresh'n Dryer, they're good as new. I'm wearing them right now and I couldn't be happier. This towel just made my life so much easier. The towel itself can be used up to 25 times before it needs to be replaced and you can put up to 3 items in the dryer at a time. :) Cool, right? Now, go get one and give yourself a day off from laundry! What a great product! 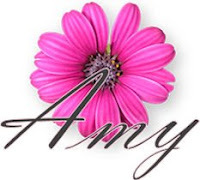 It sounds like something we could all use--thanks for the review!